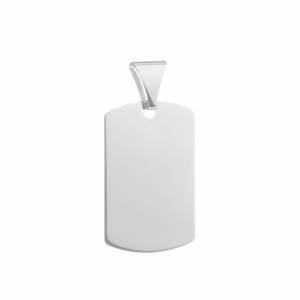 This well made dog tag can be engraved on front and back with a symbol, monogram or message. High polished finish. 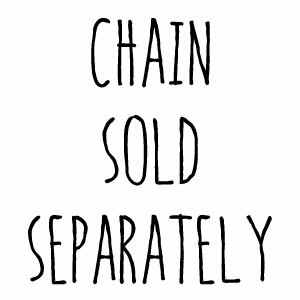 Add to cart and continue on to the next page for chains and necklaces to fit this product, which are available for purchase separately. Bale measures 1/4 inch. Choose traditional (colorless) etched engraving for a more elegant look. 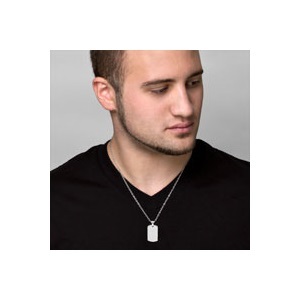 Or, choose laser engraving for a darker mark that can be seen from a distance. Up to 6 lines of 14 characters each, including spaces!